The Beaver Area Heritage Foundation campus is comprised of several spaces available for rent for a special event. After turning off Third Street in Beaver onto East End Avenue, you will first arrive at Beaver Station (A) which holds the 1897 Event Room, The Beaver River Room, The Ohio River Room and the Trackside Courtyard (B). Next to the Station is the Event Lawn and Belvedere (C). Continuing on past the trees, is the Log House (D). 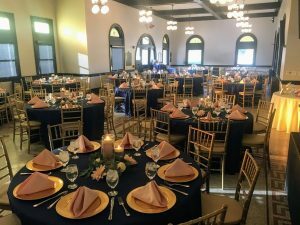 The former passenger waiting room is a 2500 square foot space seating approximately 128 guests for dinner, 150 theater style and 150 for a standing reception. 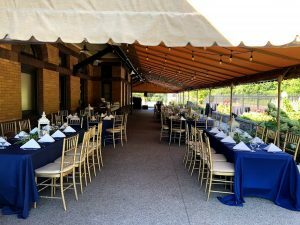 The former train platform, is a 1500 square foot space covered by an awning for warmer months and side panels for cooler months, seats approximately 96 guests for dinner and 150 for a standing reception. 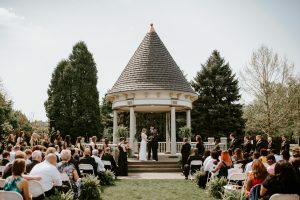 Approximately 56 feet wide by 100 feet long, the event lawn can accommodate tents, 250 guests for dinner or theater style for ceremonies or entertainment. The Belvedere is an outdoor “bandstand” like structure is 30 feet octangular with 20 feet covered by the roof.  Able to accommodate wedding parties, musicians, dessert tables, etc. Rebuilt from the original logs from the Revolutionary War Fort McIntosh in Beaver. 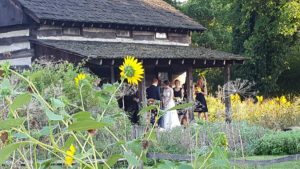 The outdoor deck can accommodate 7 people for a ceremony, approximately 100 guests on the lawn and 40 guests inside utilizing bench seating.